The Episcopal Asset Map, a joint project of The Episcopal Church and Episcopal Relief & Development, is an opportunity to highlight the ways Episcopalians are living out Christ's love in our communities. You can search ministries around The Church and tell the story of your congregation, school or other Episcopal community. This project was initially opened to Episcopal dioceses across the 50 United States, but has now expanded to include virtually the entire Episcopal Church. This online platform shows the locations and ministries of Episcopal churches, schools and institutions. 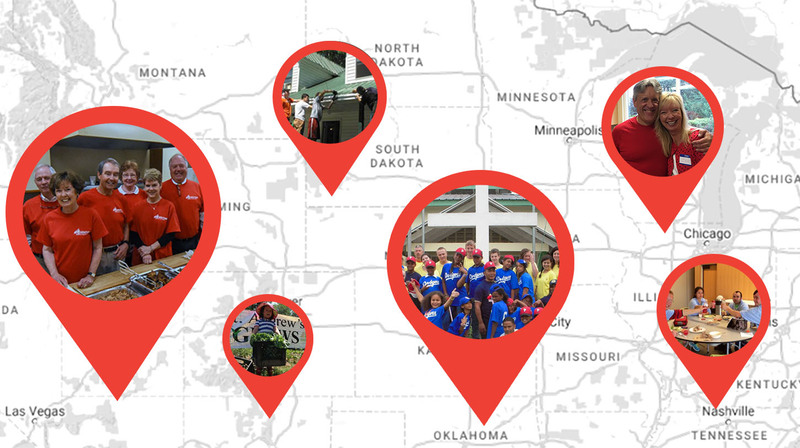 What started as a disaster preparedness tool is being used in many ways: from a Find-a-church (eastmich.org/churches) to a congregational development tool, the Asset Map is helping us live out our call as Christians in new ways. Here at Episcopal Relief & Development, we still utilize this tool for building resilience in communities and responding to disasters. Pins appear on the map and search functions allow users to explore their local area or the entire country. Here, Episcopalians can tell the full story of how they are a part of the Jesus Movement. Clicking on a pin (or a link from the list view) provides contact information and descriptions of programs. But this project is different from many other mapping platforms because it is completely grassroots-populated with oversight by appointed Diocesan Map Administrators. This means that the accuracy of information is up to you! This project can only be successful if you participate and join in sharing the story of The Church. Once you land on the site homepage, search for your Episcopal Community, go to the profile page and click "update this place." Without logging in you can join us in sharing the amazing ways that we are serving the most vulnerable, engaging in strong fellowship, worshipping in diverse ways, inviting strangers into our houses of worship and responding to the needs of our members and our communities. Just as we as an organization feel called to respond to the words of Matthew 25, we know you are are doing the same in your local communities. So, tell us! We can’t wait to learn more about your church, school, nursing home, community service organization, migration ministry or the many other wonderful ways you are living Christ's love in the world. In the video below, follow along with "Sally" as she searches for help using the map, makes a new friend at a nearby congregation, starts a community garden at her church and then updates her church’s page with its new ministry. Contact Tamara Plummer, Asset Map Coordinator, at tplummer@episcopalrelief.org to learn more.